Take your dog’s skills to the next level! Our training videos and webinars show you every step to achieving wonderful heel position, reliable stays and fun tricks! Take your competition to the next level! Mariah teaches a variety of dog sports classes for Competition Obedience Training, Rally Obedience and Dog Agility Training. Learn more about our online dog sports training lessons! Online Dog Training Classes are a convenient and affordable way to train your dog. 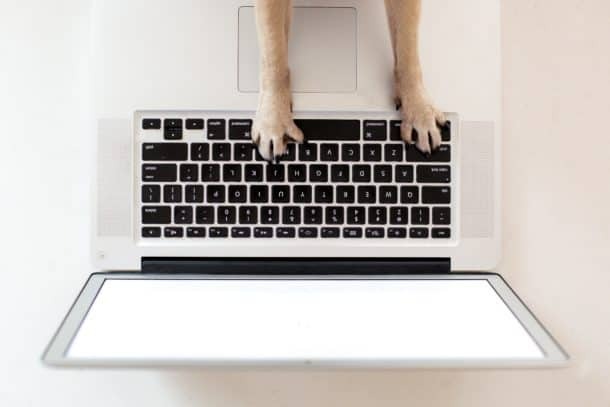 Our online classes provide the tools and the knowledge at an affordable rate to teach your dog any skill imaginable! Take your competition to the next level! Join us for one of our upcoming training seminars! Stay up to date with all the dog events of the Carolinas. Learn more about our training seminars! Check out the Carolinas Dog Event Calendar! Online dog training classes are available at your convenience. The lessons are available 24/7 and you can work through the material at your own pace. Ask how our online classes will work for you to get started!